A child of share crop farmers, teacher, coach, band director, principal, superintendent, visionary - Truett Wilson was all of these and more. He was born on March 29, 1916, on the family farm in the Rhome/Aurora area of Northwest ISD before it was Northwest ISD. Raised to know the value of hard work, he helped on the farm from the time he was a young boy, picking cotton and plowing with mules, horses, and finally tractors. He attended elementary school at Fairview School and Drop School (both in what is now Northwest ISD) and then rode a horse to Rhome High School, where it waited outside with other students’ horses. Due to the strong encouragement of his parents, he furthered his education at Decatur Baptist College (now Dallas Baptist University in Irving) and at the University of North Texas. While a teacher at Paradise, Texas, he met another young teacher, Bertye Lue. They wanted to begin seeing each other, but because of rules in place at the time, Wilson had to change schools in order for them to begin dating. He resigned his position at Paradise and began teaching in Decatur, resulting in his marriage to that young teacher. As a teacher, coach, and part-time principal at Justin High School, Wilson was a strong supporter of the move to unite several rural districts into one system to be called Northwest Independent School District. Once the district was formed, he became the first principal of Northwest Junior High School, a role he filled for 17 years. It was a critical time, as students from the different community schools blended together and became Northwest. 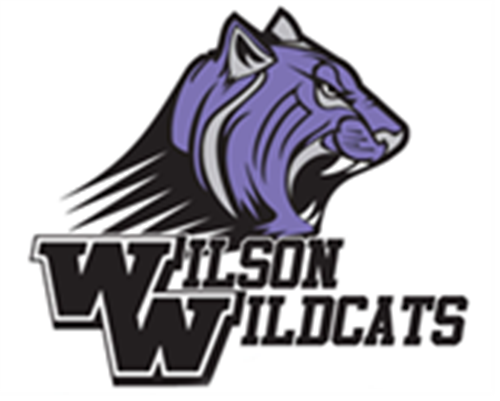 From Wilson’s early days as an educator and a principal, he showed unwavering devotion to his students and the Northwest communities. He gave his time unselfishly and was described as a true role model and leader. He was passionate about seeing the students grow academically, socially, and through their extracurricular activities. Becoming superintendent in 1966, he predicted rapid growth for the district. He connected with educators throughout the metroplex and was highly aware of what was occurring in the high-growth areas. He brought a focus on the academic achievements of students as well as the potential for Northwest ISD to grow and thrive as a school district. He inspired many students, including Joe Max, to become educators. Wilson passed the torch, retiring as NISD superintendent in 1978, very near the time his son became an elementary school principal in Birdville ISD. His son, daughter-in-law, and two grandchildren all graduated from the district he helped create. Generations of the Wilson family have been educated by Northwest ISD teachers and are now helping shape the school district that he was instrumental in building. Truett Wilson’s granddaughter-in-law now teaches at Justin Elementary School and his oldest great-grandchild will begin kindergarten in Northwest ISD in the fall of 2013.